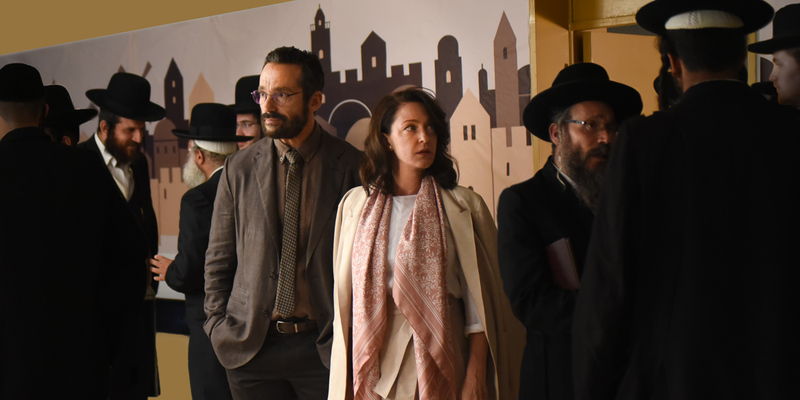 The Other Story was another Israeli film that I saw at Toronto Film Festival. The movie consists of a couple of stories happening. 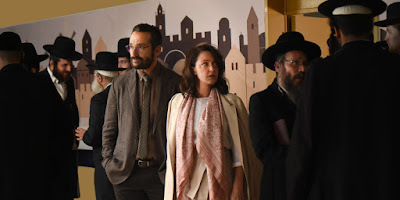 One is the absent father whose father asks him to come to help stop his daughter from marrying a popular singer turned Hasid (very religious man). Her family is conservative, and their daughter used to be as well, but now she is religious, and about to marry a man who also became ultra religious. The family doesn't trust the singer and are determined to find out dirt on the man to break them apart. The second one concerns, the same man and his father. They are both therapists The father wants him to help him with two of his patients who are a couple. They are in a custody battle and have a Court order to go to therapy. The wife is involved in some pagan cult and the husband thinks she's going crazy, and is scared for their son. I really enjoyed this drama a lot, and was kept wondering how things would end up. After seeing the film I discovered it is based on a true story. I wish I had been able to go to one of the public screenings to hear the director talk.